Your desk says more about you than you think. Plants, artwork, books, pens—even your title plaque (if you have one! )—imply clues about your sociability, competence and productivity. All of the items you incorporate into your workspace send a message to your colleagues about your work ethic. Is your space impeccably organized? Is it a total mess, plagued with half-empty mugs and piles of papers? In a typical workweek, employees spend 5 hours and 41 minutes sitting at their desk, according to a report by the British Psychological Society. This means that the only activity you spend more time doing per day is sleeping. In consideration of this fact, it makes perfect sense that your desk becomes an extension of your personality. Your workspace at home or at your office may be having a negative effect on the way your colleagues view your abilities. 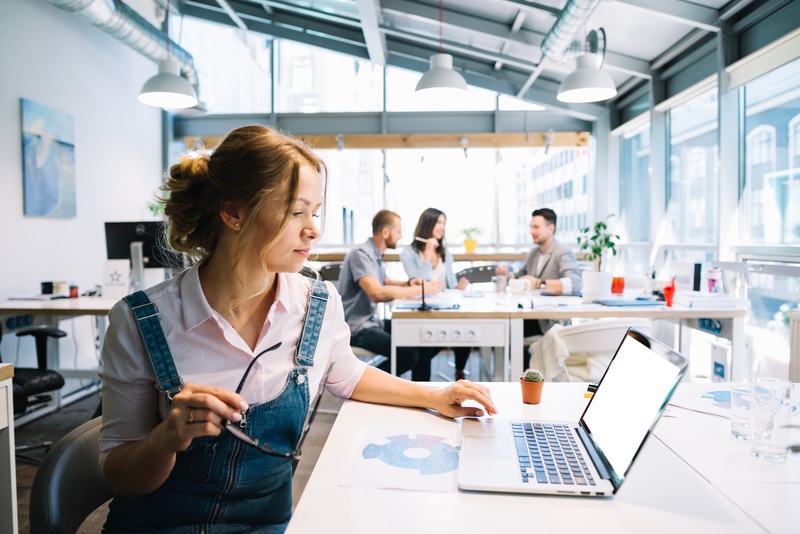 With 57 percent of office workers admitting they have judged a co-worker by the state of his or her desk, and 50 percent being “appalled” by a co-worker’s workspace, it’s important to ponder what your area says about you. After all, you wouldn’t want prospective clients and customers coming into your office and reassessing your capabilities based on the state of your desk. By understanding what your workspace says about you, you can make sure it validates the positive work ethic you want to show others and the dedication you have to your job. I Can’t Even Walk In Here! 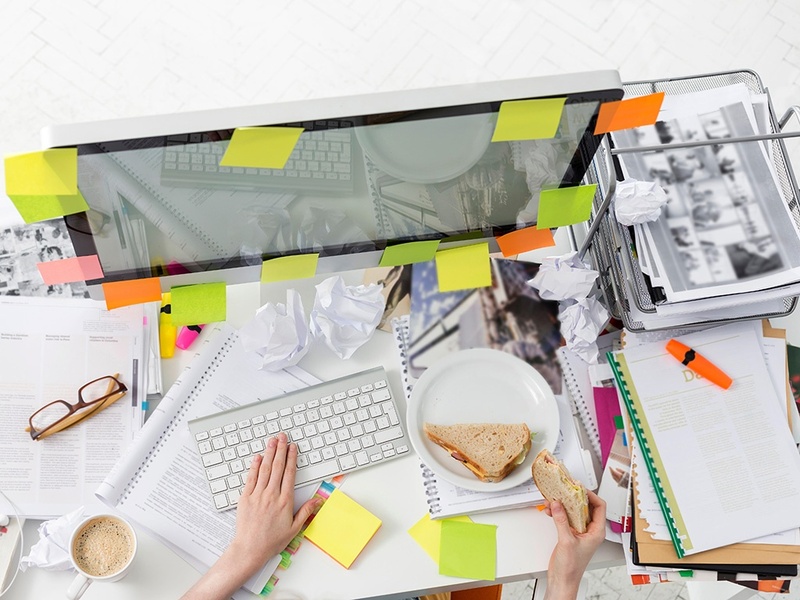 We’ve all been in those offices that are messy beyond repair. The second you try to sit down in this office to have a meeting, your co-worker scrambles to make room—clearing sweaters off of chairs, gathering scattered papers to clean off the desk and throwing out a half-eaten lunch from yesterday. The red “New Voicemail!” button is blinking; random pairs of shoes are thrown around on the floor; the trash bin is overflowing. You wonder to yourself: how does anything get done in here? Even if this sounds like your office, don’t worry: a psychologist’s study from Space Works claims this type of disorder might not be so bad. Instead, it could mean you are merely extroverted. Without stimulation, extroverts easily become bored and unmotivated, which often results in them surrounding themselves with distractions. While it may not be for everybody, working in a messy space can be good for people who are free-spirited. In fact, some of the most successful entrepreneurs, like Steve Jobs and Mark Zuckerberg, have famously chaotic offices. Thus, even if it can put off your orderly colleagues, a cluttered office can surprisingly be the workspace of a hard-worker. The key is to be sure the workspace can accommodate visitors, if need be. If your disorganization causes people to stray away from working with you, then you need to make some changes. Controlled chaos is the goal. Does Anyone Even Sit Here? 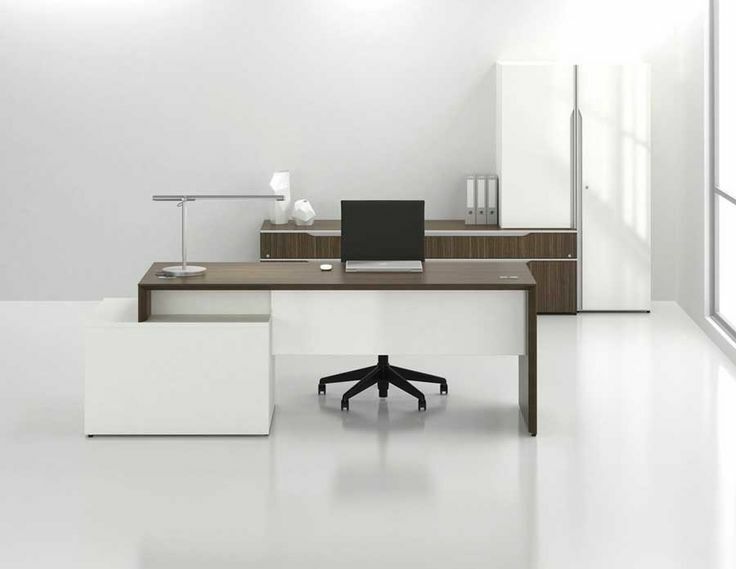 The complete opposite of a chaotic office is the extremely minimalistic and bare workspace. These types of sterile spaces make it hard for visitors to tell if your desk is occupied at all. Generally speaking, minimalistic workspaces will have, well, the bare minimum: a desk, a chair and maybe a pencil cup holding one pen. Instead of being a welcoming space, this type of office begs the question: does anyone even sit here? And if so, is this person aware that offices aren’t meant to look like a futuristic interior design magazine’s spread? If your office is totally barren, you may be a little too organizationally-compulsive. While organization is known to boost productivity, minimalistic offices can suggest a lack of originality and inventiveness. It may also suggest to your bosses that you don’t plan on working there long, or that you aren’t very invested in your position. But what if you genuinely enjoy working in an environment that’s austere? It’s ultimately up to you what you decide to include in your workspace, but you may want to consider adding some suggestion that you have personal interests—like a photograph from your last vacation or a trendy lamp from home. This will make visitors to your workspace feel a little more comfortable. And, it will also tell your bosses that you are a committed employee who wants to make your workspace more like home. In the middle of these two ends of the spectrum is the workspace that’s decorated in a way that’s both engaging and balanced. This final type of workspace is the most desirable for a productive, enthusiastic employee. As a perfect meshing of the two extremes, this workspace creates harmony between organization and clutter in a setup that fuels inspiration. Most importantly, this type of office looks lived-in and makes all who enter think: I wish this were my office! In this environment, there will likely be an arrangement of office furniture—like comfortable, open seating and a clean desk—that encourages collaboration and good conversation. There are plenty of creative storage options for organizing papers and files; there’s a bright green plant growing steadily on the windowsill. There are pictures of your family and maybe a signed baseball or album from your favorite band. When visitors step into this workspace, it immediately makes them more curious about you. If you have such a wide collection of décor that reflect your myriad interests, there’s a good chance your work ethic and business habits are just as dynamic. In order to come across as a creative, sociable and efficient employee, your workspace should demonstrate a mix of order and disorder. You want your office to reflect your personality and to tell people part of your story. It’s always advantageous in business meetings to first connect over common ground, and having this type of workspace means there will be plenty of conversation-starters to choose from. 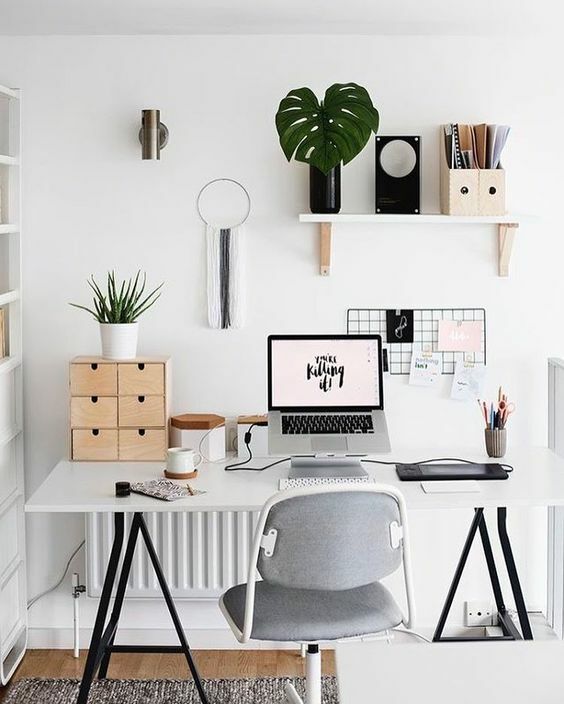 Plus, if your space embodies characteristics of what’s most important to you—like your family, or style or sports—you will be more productive in your work, and feel less surrounded by deadlines and conference calls. Your office space can say a lot about you—and you don’t want it to be damaging to your reputation as a hard-working employee. Avoid creating a workspace that is too messy or too clean; instead, your space should balance these two extremes, inspiring both individual concentration and teamwork.